I was at the dentist office yesterday thumbing through the April issue of Martha Stewart and ran across the most adorable peasant blouse. The pattern is a free download from her site and you can find it here. I needed a break from a pattern I've been working on and thought this would be a perfect little departure. Three hours later and I had a new blouse! I love the ease of the style and I'm sure it will be a "go to" this summer. The pattern offers a dress style and 3 different sleeve lengths. I used the long sleeve version and lengthened the body about 4 inches to more of a long shirt, short tunic length. I measured a favorite woven top of mine to figure out which size I wanted to cut. I usually wear a size Medium but based on my top I cup a size Small. It is always a good ideas to sew a muslin - or fitting garment in a similar fabric to make sure you like the size and fit. I also added another border to my quilt. I love having the design wall up so I can work on this at my own pace - it happens to be a snails pace these days!! I really love your Circle project! 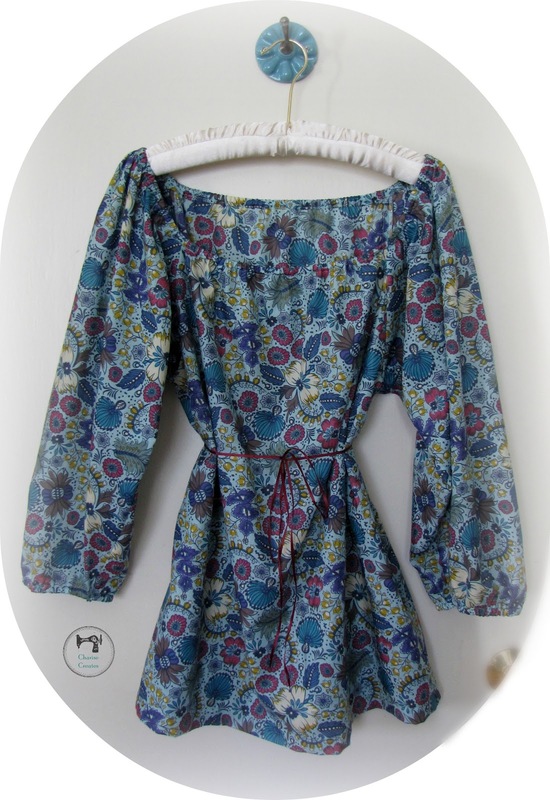 Really lovely top ~ it the fabric voile? 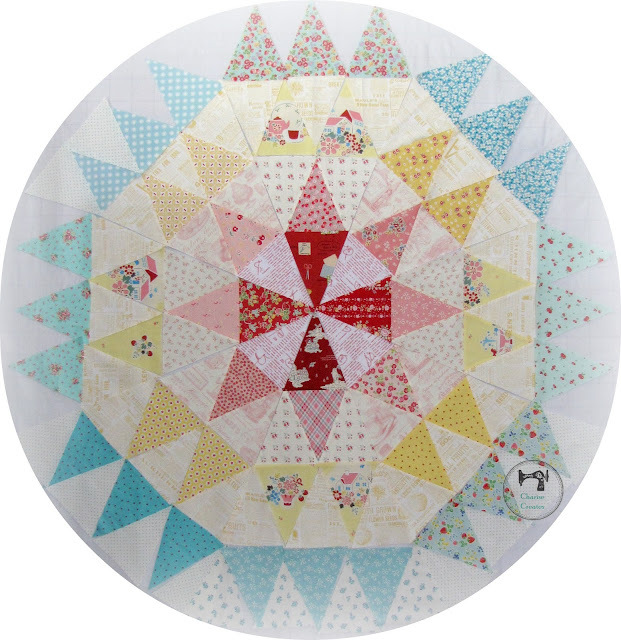 Love the quilt project you're working on ~ medallions are my favorite lately.